Will Mike Malone fix Denver’s defense in his first season? 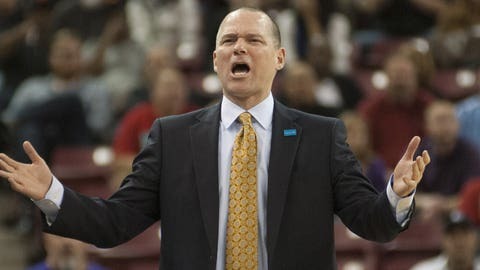 Can new head coach Mike Malone work his magic in Denver? New Denver Nuggets head coach Mike Malone has a reputation of being a great defensive coach. From his time as an assistant to his short stint as a head coach, Malone's teams almost always improved defensively on a year-to-year basis. With a Nuggets roster that is a mix of a veterans and young players, Malone will have his hands full implementing his defensive system. Will he be able to make the Nuggets an above-average defensive team in his first season after the Nuggets finished 26th last year? “As an assistant, Malone helped build top-10 defenses in Cleveland, New Orleans and Golden State, and he turned the Sacramento Kings from rancid (29th in defensive efficiency in 2012-13) to merely repellent (23rd in 2013-14) to downright respectable (18th before his firing, 15th before DeMarcus Cousins contracted meningitis).